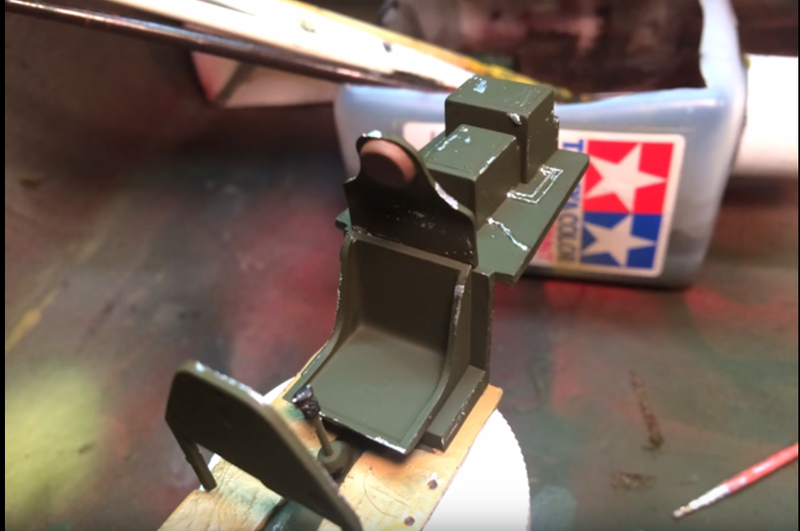 As part of my build of the 1/32 Hasegawa P-51D Mustang, I have been working on detailing the cockpit. 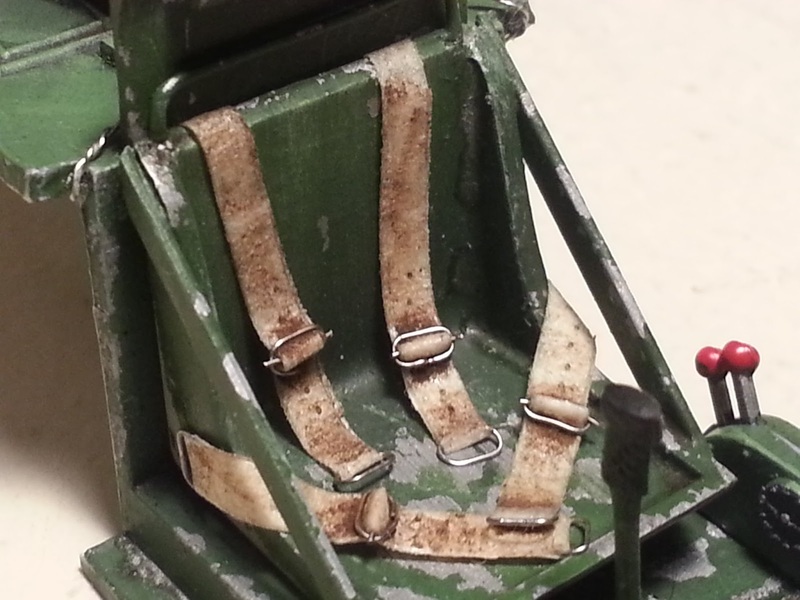 It’s an old kit, originally released in the 1960s, and under that big ol’ bubble-top canopy the undetailed pilot’s seat is going to look a bit bare – there are certainly no photoetched seatbelts in the kit; it doesn’t even hint at a harness in the moulded plastic of the pilot’s seat. That means it’s time to scratch build your own. 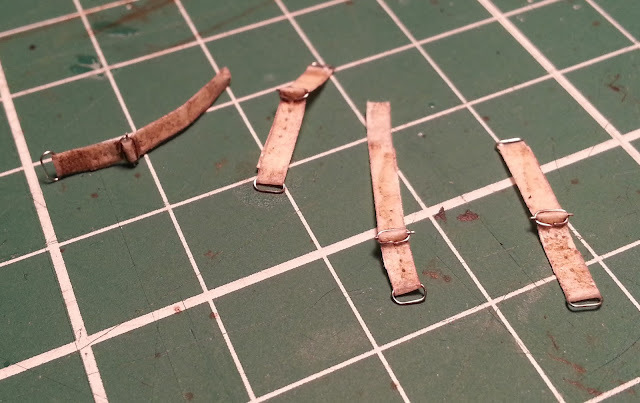 Luckily, I have an amazing technique for scratch building seatbelts, and so this has been the subject of my latest YouTube video tutorial. The best thing about this technique is that you will not have to go out and purchase any new materials. Even the most basic model-makers’ toolbox will contain everything you need: plain old masking tape, and some thin, malleable wire. That's right. 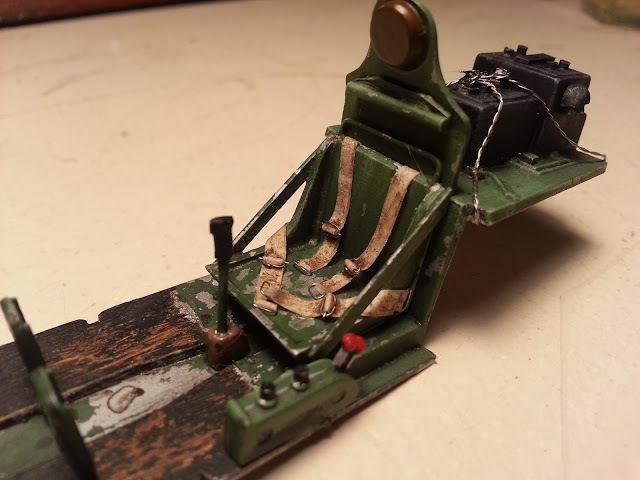 Plain masking tape and wire. I won’t lie: it is a slightly time-consuming technique until you get a mini production-line thing happening. But my god, is it a satisfying process, and the more you do the faster you get. And the result is a highly detailed, realistic, textured pilot’s harness that you will love. It will superdetail the office of any warbird you’re building, and the result is 100% personalized to your kit – nobody else will have that exact seatbelt. BEFORE - I found this image by another modeller online - this is what the bog-standard kit looks like without any scratch building detail. AFTER - And this is what a little scratch building can do! This process is totally customizable as well: it would also work for cars, sci-fi spaceships, anything that requires seatbelts. And the colour can be tailored to any historically-accurate colour you want. This took me about an hour from go to whoa, but that included fiddling about with cameras, lighting and focus – without that, I guess I could have had all four belts made and mounted in about 40 minutes. How good does that look? It's a great little technique. Give it a try. You’ll feel a million bucks when you sit back and admire what a difference it makes. Hello David, I am currently working on a 1/32 Huey and I would like to know how many millimeters should be the width of the belts. Thank you very much and I await the answer.